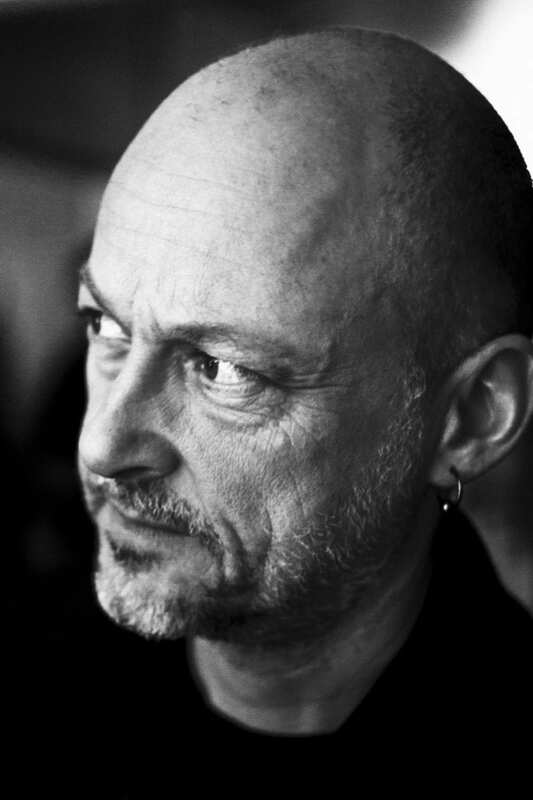 Anthony Rowe is a media artist, designer and researcher. 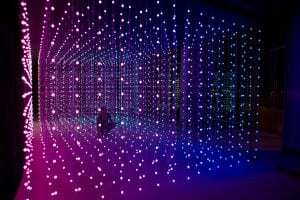 He founded digital arts group Squidsoup in 1997, with the aim of creating immersive, emotive and intuitive experiences that merge the physical and the virtual. Squidsoup’s work has been seen by millions of people on six continents. Previously, he also worked as an illustrator, photographer and sailor, crossing the Atlantic solo (1988). I am currently investigating the idea of liminal materiality (see above). We live in a material world, and engage with it in very physical ways, yet digital processes are essentially immaterial. How the digital manifests itself in the physical world is fundamental to any kind of digitally augmented experience, but I am exploring a particular aspect of this: a liminal material is a boundary material, something that straddles the divide between real and virtual, sitting uncomfortably and incompletely in the physical world; intangible, not quite there, highly ephemeral. My questions are: 1. To define exactly what is a liminal material; 2. What other forms of potential liminal materials can be created, and what are their particular affordances? 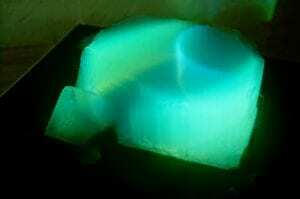 (other forms of bioluminescence, the aurora phenomenon, and various types of suspended particulates are prime candidates at this stage, but there will be others); 3. In what ways can these liminal materials be practically co-opted into the creation of dynamic immersive multimedia experiences? The primary output will be a physical installation piece and some form of written document outlining/defining liminal materiality. 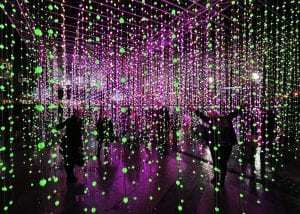 I founded digital arts group Squidsoup in 1999. My aims with it have, since its inception, been to create immersive experiences. Early experiments with navigable soundscapes (eg Altzero2 at the ICA, London, 2000) led to a series of works using projection mapping and interaction to create worlds within worlds (eg Living Timeline, @Bristol, 2012 onwards), and eventually into the work we do now, which focuses on using volumetric light and sound to create social, immersive, digitally augmented walkthrough experiences. A prime example of this is Submergence (2013-16), which has now been shown over 40 times on six continents, including Bristol (commissioned by Watershed, 2014). This also led to creating immersive performances with live musicians. Recent work with Four Tet (2015, 2018) aims to blur boundaries between performer and audience, as well as between performance and immersive installation (pronounced by MixMag to be the “the best live show in the world”). Another project, Bloom (2016), uses hundreds of bespoke IoT devices to create immersive audio- and sound-scapes with up to 1,000 choreographed voices. We are currently working on a second iteration with much enhanced audio capabilities. This practice relates closely to my PhD, Immersion in Mixed Reality Spaces (Oslo School of Architecture and Design, 2015), which explores the notion of ‘immersion’ in some depth, and applies those concepts to various forms of augmented space and AR experiences. Current explorations revolve around the idea of liminal materiality: hybrid materials whose very materiality is unclear and unpredictable. 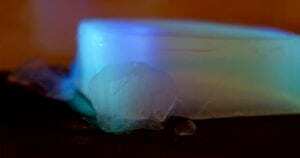 This has involved the use of bioluminescence and projection into/through semi-translucent nanotech materials. It has also led me to start experimenting with mist and smoke as part of a multimedia approach to immersive and ambient experience.